Amazon, one of the world's largest online retailers, has said it will invest a further $2bn (£1.2bn) to boost its operations in India. The firm said India is on track to become "our fastest country ever" to reach $1bn in gross sales. Amazon's move comes a day after India's largest e-commerce firm Flipkart raised $1bn in fresh funding, the largest ever for an Indian internet firm. India's total e-commerce market was worth $13bn in 2013. But online travel accounted for more than 70% of the transactions. 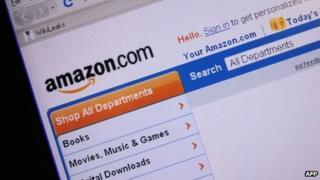 According to research firm Forrester, online sales of retail goods were worth $1.6bn last year. However, that number is expected to reach $76bn by 2021 as more people across the country get connected to the internet. "We see huge potential in the Indian economy and for the growth of e-commerce in India," Jeff Bezos, chief executive of Amazon, said in a statement. "After our first year in business, the response from customers and small and medium-sized businesses in India has far surpassed our expectations."